Tesla shares surged 17 percent on Monday, placing the stock on track for its largest gain in two months after CEO Elon Musk reached a settlement with the U.S. Securities and Exchange Commission on Saturday. 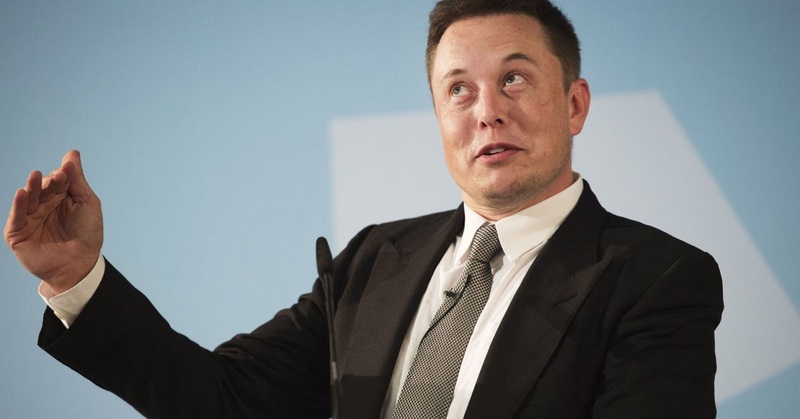 "We can all disagree on some of the tactics that [Musk] does, but he's certainly a visionary. He's done quite well with many different ideas. I think it's good that he's still the CEO. I think it's very good that there'll be an independent chairman. And I think, now, it's really, let's see if they can execute," said Brad Gastwirth, founder and CEO of ABR Investment Strategy. "This is a huge opportunity for the board to really bring in somebody from the outside that can gain investor confidence. I hope that they capitalize on that opportunity, because it's something they couldn't have done themselves. They need to have their hand forced, and here they are with a gift, essentially," said Gene Munster, managing partner at Loup Ventures. Paul Ingrassia, editor at The Revs Institute, said, "The issue here is really, as long as Elon Musk stays as CEO, it's hard to imagine much of anything changing in that company. You know, he might behave 'marginally better' according to the SEC rules. But he's a pretty strong-willed guy and usually gets his way. He's pretty much getting his way on this. I can't imagine a new chairman and new independent board members will not be simpatico with Elon Musk. So, again, this is sort of like the new trade deal: When all is said and done, much more was said than was done." "I think Tesla at this point still remains a very problematic bet because now that they have settled charges with the SEC, Elon Musk is essentially reined in on any dramatic commentary that he can make. And now the market focus is going to be much more on the fundamentals, and the basic blocking and tackling of actually producing cars. And to that end, the company is still missing its estimates by about 20 percent going forward. So it's hard to imagine that you're going to have too much upside here, unless they have dramatic increases in production and delivery and logistics before you can really make a strong bet that Tesla is still a buy at this level," said Boris Schlossberg, managing director of foreign exchange strategy at BK Asset Management. Craig Johnson, chief market technician at Piper Jaffray, said, "Shares of Tesla to us look like one gigantic relief rally for a couple of reasons. First, the shares have underperformed the S&P 500 over the last 12 months. Second, when I look at this bounce we've seen here in the shares, they were oversold coming into today's price action, and all we've done so far is rally right back up into the declining 200-day moving average. And lastly, we'd be using this strength to reduce our position in Tesla, as we think a lot of other stock have better management teams and look more attractive on an upside basis." Bottom line: Investors should wait to see what kind of progress the Tesla board can make on gaining investor confidence following Musk's settlement, and from a technical standpoint the rally on Monday may simply be a relief rally and nothing more.